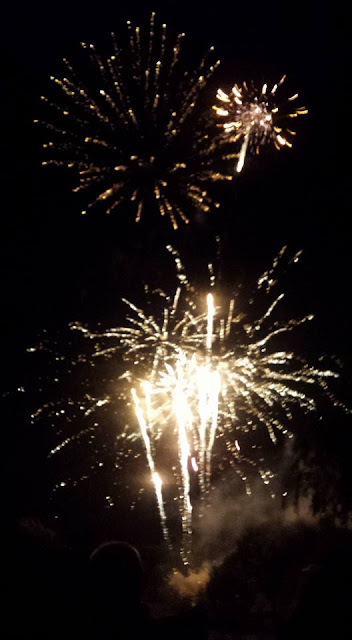 On Friday me and my little family went along to the annual 1812 firework display with live band at our local park. For me it was the first time I have taken the girls along I'm unsure why I haven't attended in previous years with them, Andy went along last year but for some reason I didn't go along. 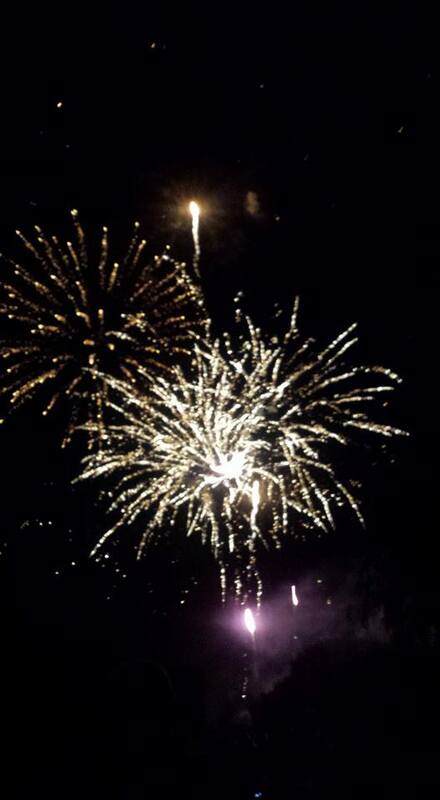 We always attend our local firework display on the 5th November as its one of the first annual events we attended when me and Andy were little love birds in the early days of our relationship, So it's now a MUST do thing every year for us! In the six years we've been together Andy has missed one and that was only down to our gas meter having an error and having to wait for someone to come out and fix it. This is an event I'd usually feel totally overwhelmed by how many people were also attending and I'd usually stay as far away from any crowds as possible, I'd feel that sick hollow following in the pit of my stomach but Friday was another time it just didn't happen, We found a spot in with the crowd and we walked closer to the front to see the band and everything. After 4 years of Anxiety taking over everything I think I may just be the one in control now WHOOP! I don't know what it is but every time I've gone along to fireworks the past 2 years I end up really emotional and find myself welling up as I watch the pretty colours burst in the sky. It was a lovely night made even better by not having the urge to get home as soon as I could, Sorry I know I've said this in quite a few recent posts lately but after 4 years of anxiety controlling everything it feels so surreal to no longer have it have such a hold on me. I'm so excited to get stuck in with lots of autumn and winter events which I've feared to even arrange to do in previous years! Does your area have a 1812 night? I'm hoping I can get a video together of the firework display and be able to come back and add it to this post.